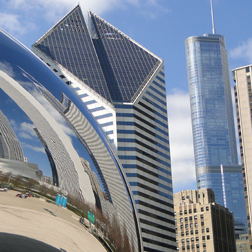 Connect with Chicago’s international community and overseas opportunities. Learn a foreign language with a native, qualified tutor within Chicago city limits, and see how your work, travel, and personal opportunities expand. Take a free online language level test to see how good your language skills are, then contact Language Trainers to build a course program based on your schedule and learning needs. Why wait any longer? Connect with our team of tutors today! Our general one-on-one courses in Chicago will help students improve their English level quickly and efficiently, whatever their needs. One of the most exciting aspects of our courses is that they are developed entirely around the needs of the students. The fact that we offer our English classes on a One-on-One basis means that you can learn the words and phrases you need in a comfortable and relaxed environment. Our English courses in Chicago are taught on a one-on-one basis and will help you improve your business communication skills immensely. No matter what level you begin at we will soon have you dealing with business introductions comfortably before moving onto other matters. Beginner level students can expect to finish the course with basic telephone English and email skills, as well as a level of survival English, granting them the ability to work in a country where English is the native tongue. An English-French bilingual born and raised in France, Linda has extensive experience teaching the two languages to learners of all ages and skill levels, in both France and the United States. She holds a Master's in English, as well as a French teaching certification. She has special experience preparing students for language examinations. Anna is a native speaker of both Polish and German, and has over seven years of experience teaching both languages. She currently holds a Master's degree in German Literature and History. She is also a regular participant in conferences related to German language and culture. Need to brush up on your English before starting your new job or going back to school?